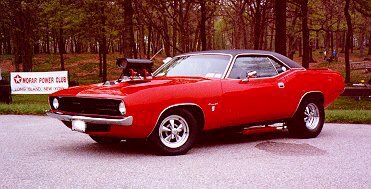 The car pictured above is a modified 1970 Plymouth Barracuda Gran Coupe owned by Frank Fauci, the founder of the MOPAR Power Club of Long Island (the biggest all MOPAR club on Long Island!). 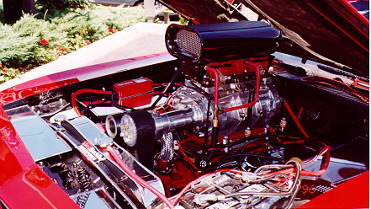 It has a 1972 400 Magnum engine, bored to 415 C.I.D., a Dyers 671 Supercharger, 2 four barrel carburetors, twin 125 horsepower NOS plates, 727B Torqueflite automatic transmission and 8 3/4" 3.55:1 Suregrip rear. It's never been run at the dragstrip, but you've got to see and hear it to believe it. It's got to be incredibly fast!